Alex: Oh god. Always such a tough question which I can never answer. Can I got the easy way out/cheat and say Harry Potter? The whole series? :P Also anything by John Green and Sarah Dessen. Also The Mortal Instruments, The Hunger Games, Dairy Queen. Also... Really, the list could go on forever. Can I just point you to a list we did about favourite books, authors, characters, covers, and pairings? Lauren: Well, I'm going to go with one book instead of the encyclopedia Alex just provided. My all time favorite book is The Book Thief by Marcus Zusak. I found it stunning. For the first time, I dog-eared pages with my favorite quotes because there were just so many that I absolutely adored. I've read a lot of books, but this one is a definite stand-out for me. Alex: Ballads of Suburbia, Fire, and The Demon's Lexicon are three books I've read recently and absolutely adored. Lauren: Fire by Kristin Cashore. I loved it even more than Graceling. I've just started Ballads of Suburbia so we'll see how that one turns out too. Alex: Chapters. :) Which in Canada is equivalent to say, a Borders or Barnes & Noble. Lauren: Well Chapters is pretty much the only option here. But I love it. We follow a lot of different authors on both Blogger and Livejournal, but the most likely to be found stalking... E. Lockhart, Libba Bray, Bree Despain, and Cassandra Clare are just a few of many. Lauren: Beavertails are pretty Ottawa-specific. But sooo good - they're a crepe-like pasty with sugar and other various toppings. I like our money too. What is the state of YA literature in Canada? Lauren: I'm always trying to push books on my friends. I'd say it's pretty much the same as the U.S. Very good. Being so close to the US, we get all of their titles. Other places are getting pretty accessible too, which is excellent. Lesley Livingston, author of Wondrous Strange. CK Kelly Martin, author of I Know It's Over and One Lonely Degree. Tim Wynne-Jones, author of several books, the only one either of us have read being The Uninvited. All are great books! Wondrous Strange is an interesting faerie novel with a sequel soon to be out. I Know It's Over deals with pregnancy from the male perspective so of course it's wonderful. The Uninvited is a thriller with lots of family drama. The Uninvited and both novels by CK Kelly Martin are both set in Ontario which makes them even better! Alex: Well, of course Stephenie Meyer at the moment is huge. But we're hoping other great books will catch on too. It seems a lot of people love Thirteen Reasons Why by Jay Asher, all for good reason. Lauren: Aside from us cool bloggers, the most that most people have read is Twilight. Getting to meet other bloggers just as into reading as us and of course learning about all those great books out there that otherwise, I may never have read. Thanks Sweetpeas! Tomorrow get all the book goss from Jo, one of my fine British friends. Also agree with you about C. K. Kelly Martin - great writer. Awww... two of my favorite bloggers, and they mentioned me! I'm so excited! Did I know you girls were from Canada, and Ottawa-area at that? You're practically in my backyard! Great interview. I love A Flight Of Minds, and it always makes me a little envious that I don't have a blogging partner. Nice interview! It's so nice to be introduced to Lauren, Alex, and A Flight of Minds! 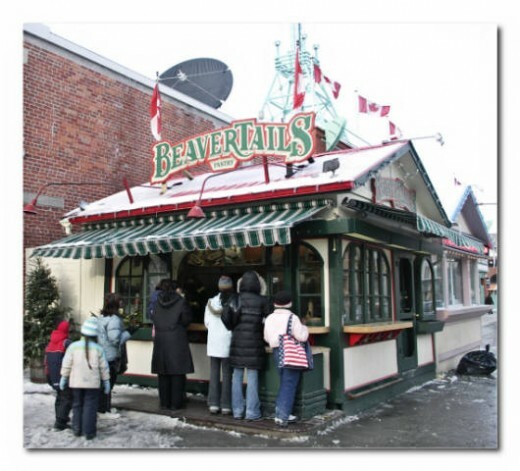 And boy do I want to taste those beavertails!